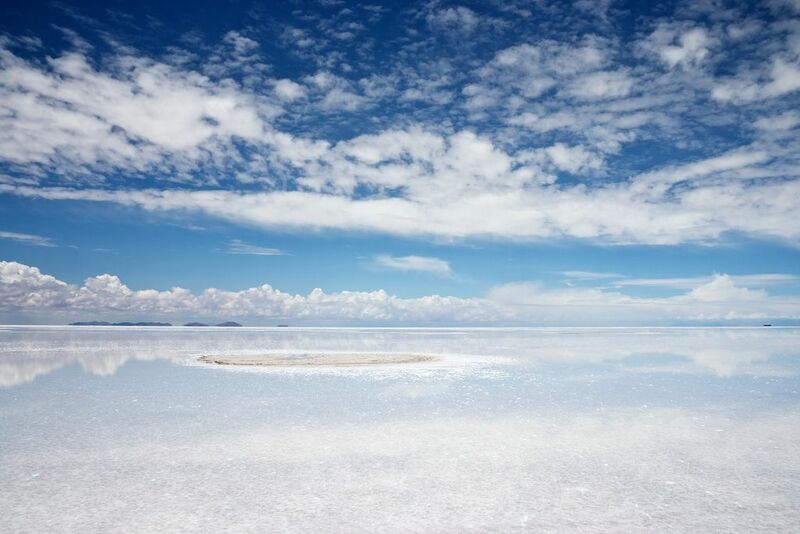 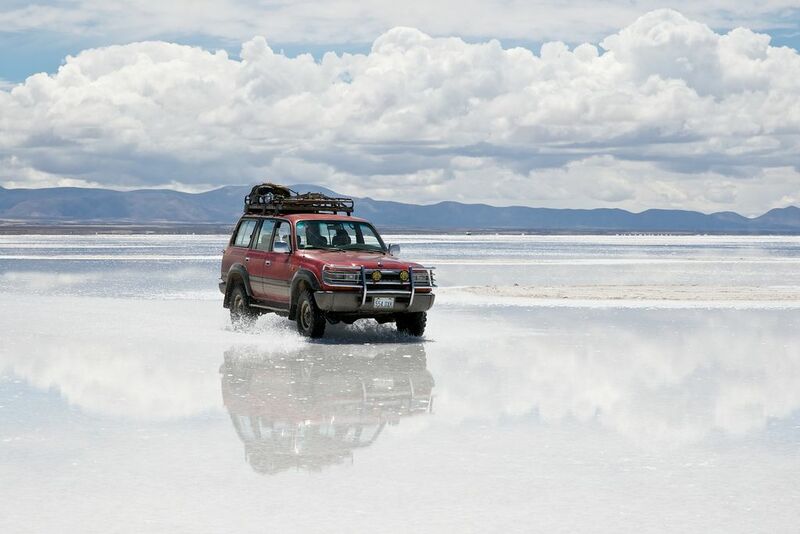 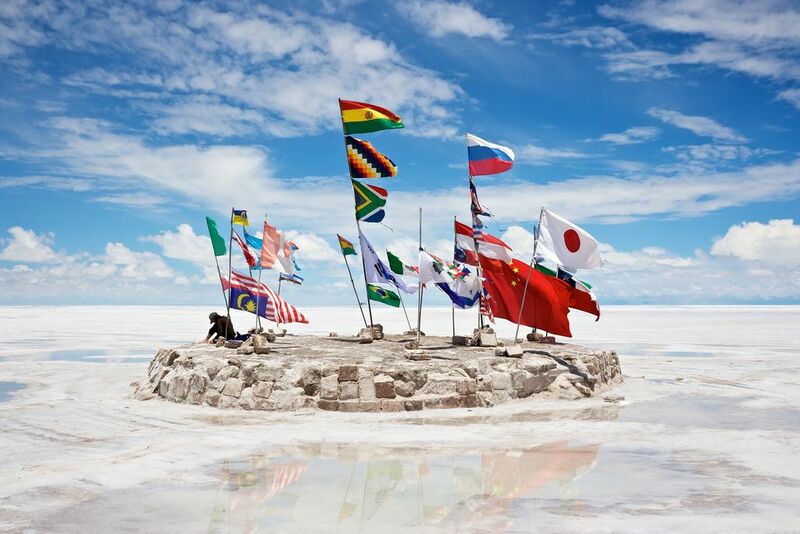 Salar de Uyuni is covering 10,582 square kilometers in the Potosi region. 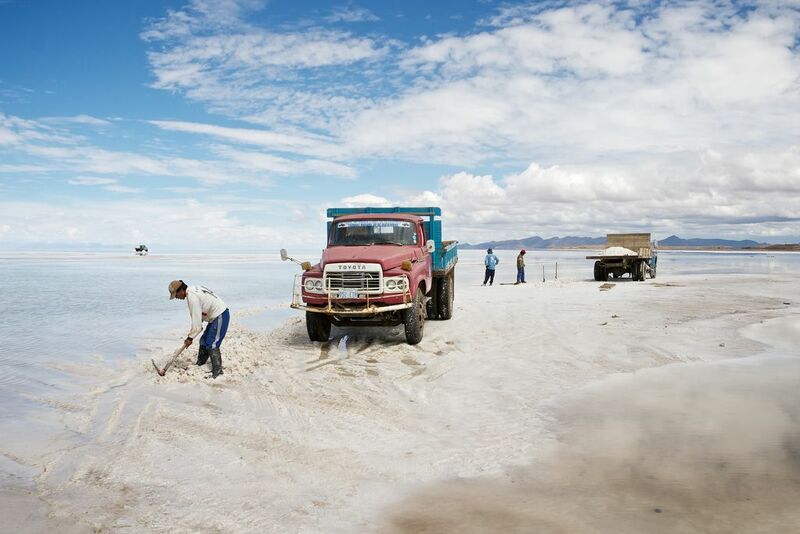 The salt is over 10 meters thick in the center. 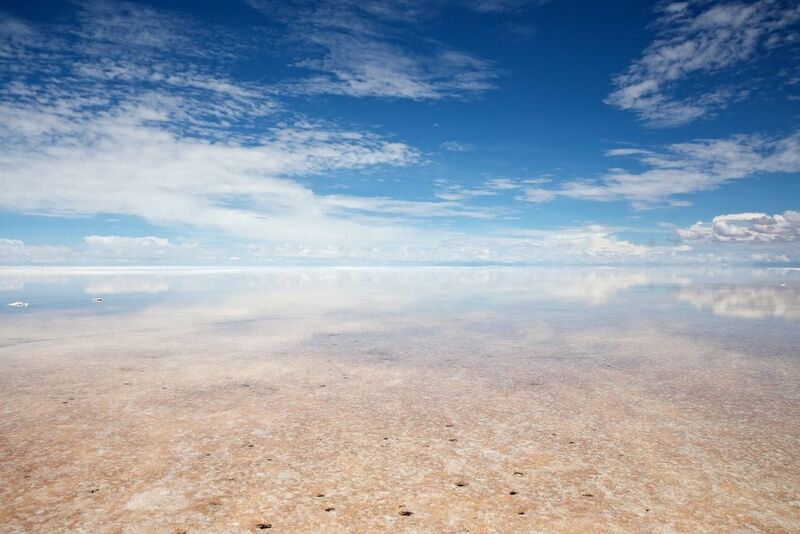 Some 40.000 years ago, the area was part of Lake Minchin, a giant prehistoric lake. 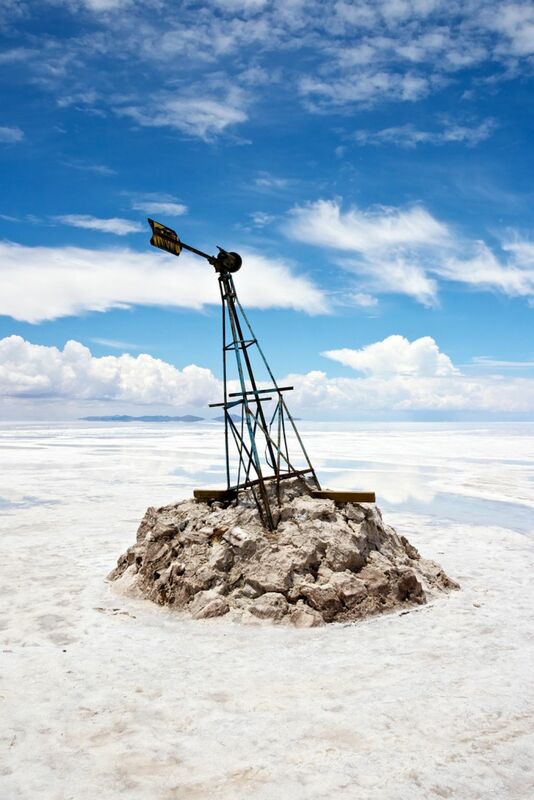 When the lake dried, it left behind two modern lakes, Poopó and Uru Uru, and two major salt deserts, Salar de Coipasa and the larger Salar de Uyuni. 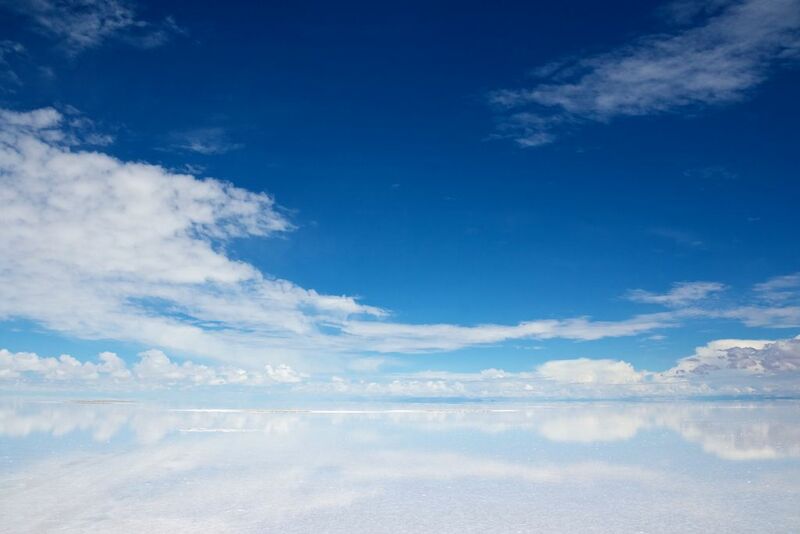 It is one of the landscapes on planet Earth where you may feel that you are somewhere else in the universe entirely. 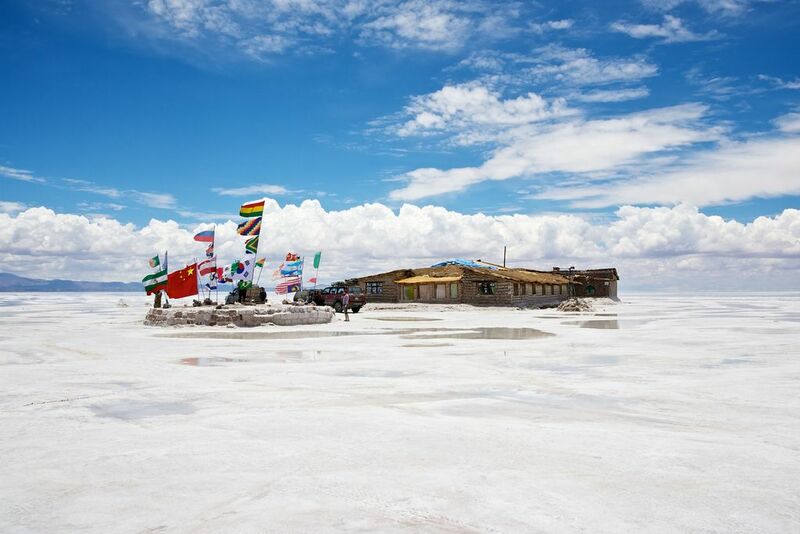 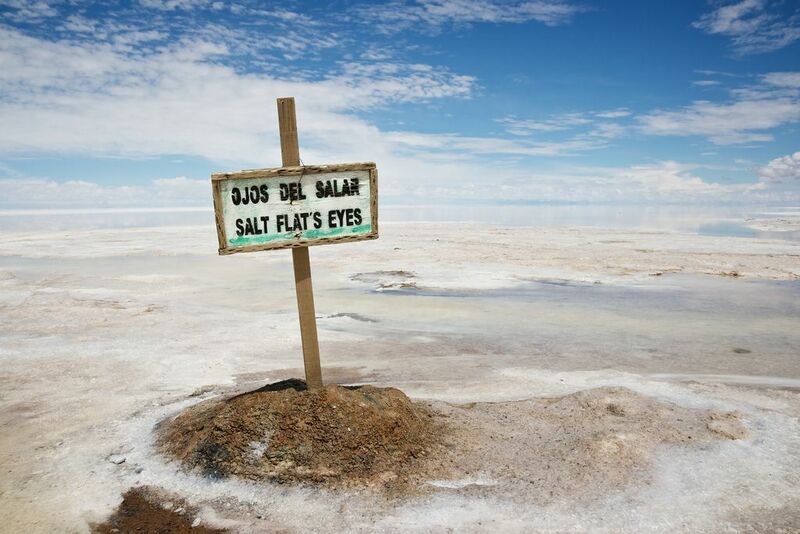 At the edge of Salar de Uyuni is located salt hotel called Palce of Salt. 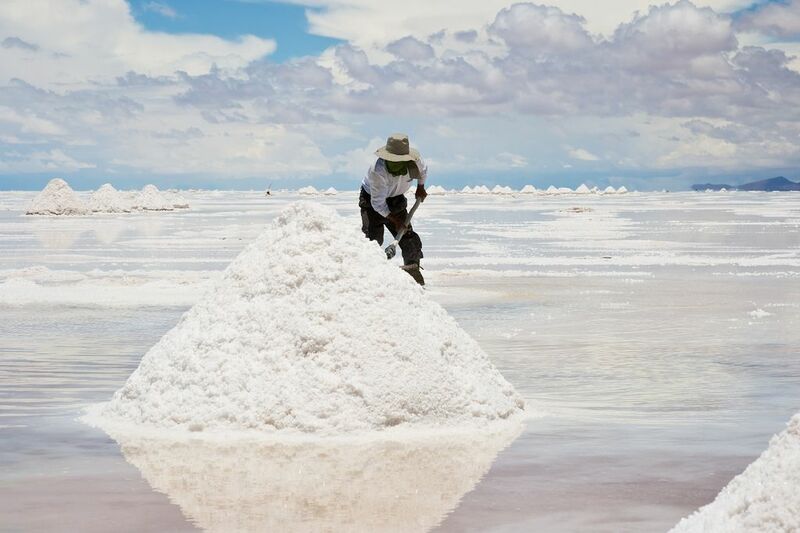 It is built of salt blocks.